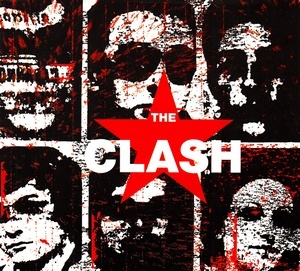 "The Clash Story" is a book with bonus CD "unreleased (???) demo tracks"
Fantastic! Thanks very much for sharing. Thats the one we were discussing a couple of weeks back it has the best version of 1-2. 101Walterton wrote: Thats the one we were discussing a couple of weeks back it has the best version of 1-2. Yeah, after you pointing this release out and explaining what's on it, I'm excited to download and check it out. Thanks for posting it, Red Angel! Is "1-2" also part of the Polydor demos? No, Marky said it was from the Marquee sessions. I've heard other demos / alt mixes of GEER tracks in the same style with the saxaphone and pianner (racking my brains to remember which now). Plus of course Let The Good Times Roll and No Reason played by Joe in Rude Boy. and Mick's demo of Ooh Baby Ooh (It's Not Over) [Scrawl On The Bathroom Wall / Rusted Chrome / Groovy Times]. Can someone re-up this please? Chuck wrote: Can someone re-up this please? Why not, let me know when you've grabbed it.